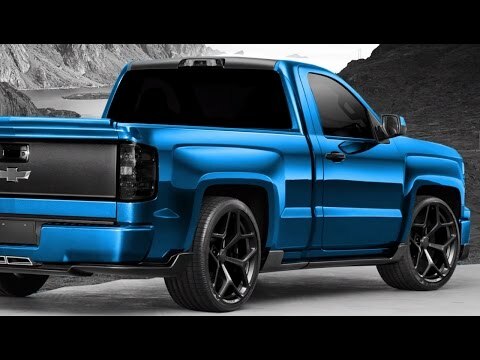 General Motors first showed us the look of the 2020 Chevrolet Silverado HD pickup truck in December, and now, we finally have all the important details. The biggest number concerns towing, which, at up to 35,500 pounds, has increased a whopping 52 percent over the last Silverado HD. That’s slightly more than the new 2019 Ram Heavy Duty (35,100 pounds) and also bests the outgoing 2019 Ford Super Duty (35,000 pounds), though Ford’s figure is likely to climb for 2020 very soon. The Silverado HD’s maximum payload ratings are also up to 7,466 pounds. Towing capability is, of course, closely related to the beefy powertrains under the hood of the new Silverado HD. The base engine is a new, 6.6-liter, direct-injected Vortec V8 rated for 401 horsepower and 464 pound-feet of torque. That beats the outgoing truck’s base 6.0-liter V8, which was good for 360 hp and 380 lb-ft. It’s paired with a six-speed automatic transmission. The upgrade option is a Duramax 6.6-liter turbodiesel V8, which continues to be rated at 445 hp and 910 lb-ft. That’s a bit behind the curve now that the Ram HD is offering a whopping 1,000 lb-ft with its diesel engine. Still, the Duramax is now mated to a new Allison 10-speed automatic transmission, which helps it bolster the aforementioned towing ratings. In fact, Chevy engineers beefed up all the critical components needed for the Duramax to tow 35,500 pounds. Compared with last year’s HD trucks, the new models’ boxed ladder frame is tougher, the axles are larger, the prop shafts are enlarged and even the Duramax’s cooling fan has increased by 2.5 inches in diameter. Related Post "2020 Chevy Silverado HD – Durability Testing, Assembly, Trailering Technology"